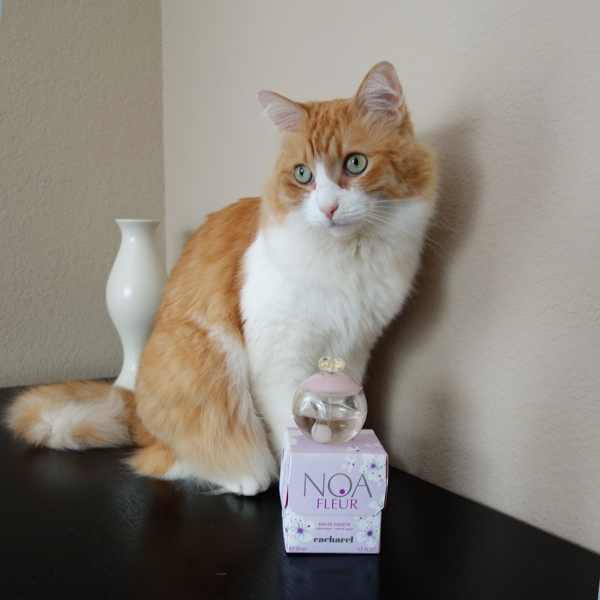 This entry was posted in "Four legs good", Favorite Perfumes, Know-How and tagged Cacharel, Calvin Klein, Chic Shaik No 30, Designer Shaik, DKNY Women, Dream Angels Halo, Noa fleur, safe for work perfume, Truth, Victoria's Secret. Bookmark the permalink. 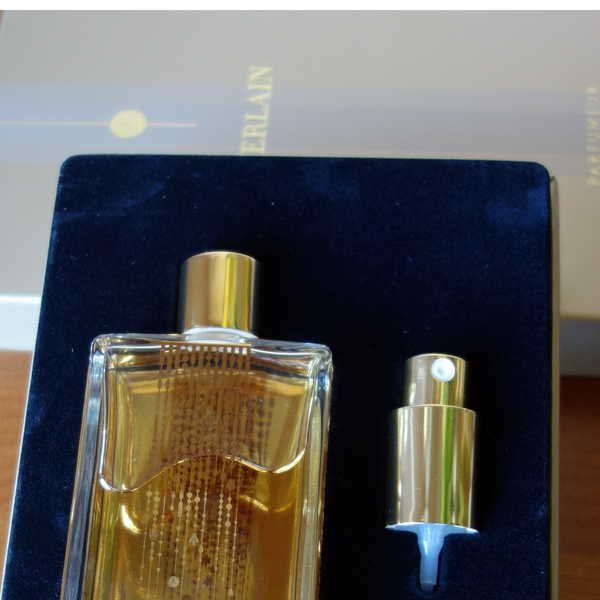 ← How Mainstream Are You (In Regard to Niche Perfumes)? I truly enjoyed this post, it’s too funny to hear peoples reactions to perfumes they dislike; it’s so often not what you think. Although the only one people have ever vetoed for/on me was Songe d’un bois d’Ete, the woody oud I believe was just too much and too unfamiliar for them. I know! I was actually surprised that my co-worker found Encens Mythique d’Orient to be too masculine. I thought that Songe d’un bois d’Ete was a little too masculine but Encens always smelled very feminine (though probably loud) perfume to my nose. Thank you for your good wishes, Asali. Ooh, CK Truth, I used to have a bottle of that. Very SFW as you say. I have never had this problem of people telling me my scent is inappropriate for work, as I mainly work from home(! ), but I remember feeling uncomfortable myself in a couple of business meetings because I thought I had put on too much perfume that day – SJP Lovely and AdP Iris Nobile were the culprits! Ironically, I am grateful to a friend for wearing a few of her perfumes too generously, because it was through googling the similarities between those scents I didn’t care for – or not in that strong register ;) – that I fell down the rabbit hole myself! Then a friend of my ex’s had No 77 from Chic Shaik. He brought the bottle round to our house and the packaging amazed me in its brashness. I took loads of photos – it was unlike anything I had ever seen! The solid box like a hard shell suitcase. The scent itself was a nice men’s cologne as I recall. I am thinking Blenheim Bouquet, although it was a long time ago. I didn’t pay too much attention to the Designer Shaik’s bottles at the store in Vienna (they weren’t accessible, you had to ask an SA to help you with those), so I saw just pictures online: they all are equally surrealistic. But since I like the perfume, if I ever get a chance I’ll try the rest of the line. Ha! Love it. “FROM THE PRINCE IN YOUR LIFE…as an apogee of this disaster” is hilarious and I love the way you describe the packaging as “etsy-worthy chic”. I hope it’s not condescending to say how brilliant your writing in English is these days, not that it was ever bad. Luckily I’ve had no perfume complaints at work although I got the impression it wasn’t appreciated by the Chairperson when I attended a board meeting in a cloud of Cuir de Russie as a confidence booster. Tara, I really appreciate the compliment. Usually I feel happy when my readers “get” what I was trying to say. Cuir de Russie is a very assertive perfume, it was a good choice for the purpose. You made me smile with the word “homeopathic.” I most often use perfume in small amounts, especially for public wear. I tend to apply scent sparingly so I can refresh or change to another fragrance later in the day. Over the years I have not had a complaint from a co-worker, even when I wore the original Oscar by Oscar de la Renta way back in the time when it was a flowery-spicy-resinous wall of scent. I don’t work in an office environment now, but if I did I know Jo Malone would be SFW. I love JM Red Roses and Blackberry & Bay. As a Jo Malone fan, I also think that most of their perfumes are SFW. I try not to over-apply perfumes to the office but sometimes I either forget how powerful one of the perfumes is (e.g. a tiny spray of Tauer’s LDDM can cause a gas attack alert from the most faint-hearted “civilians) or accidentally apply more than I planned to. Oh, dear… If we ever meet I’ll make sure not to wear anything heavy. Luckily, I have a wide choice of Jo Malones. Still it’s great that you can enjoy perfumes in some dosage. Thanks! I am *finally* back from the dead :) One thing that bothers me about my “issue” is that I’ve heard there are some scents that you don’t really get a full appreciation for without a heavy application – because all of the notes don’t come out the same way or something. So I’m hoping that with continued time my tolerance goes up. FWIW, I am not *as* sensitive to other’s people scents, unless I’m trapped in a small area with some super heavy wafters. So if we ever meet, you’ll probably be safe! 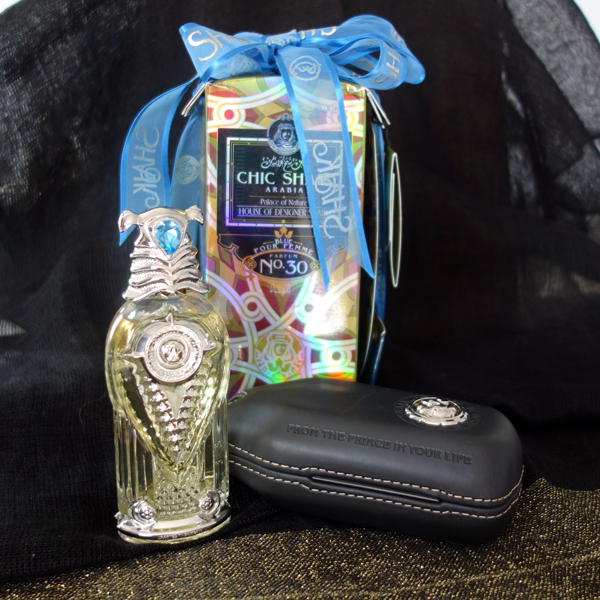 I have to say, everything about the presentation of Chic Shaik No 30 is truly dreadful… The case is just like a sarcophagus. The good thing is the bottle would be well protected, I guess. You’re right: this case is a good protection. I read somewhere that they have an option of real gems for a bottle adornment. Something tells me that it won’t improve the aesthetic much. Never had a problem at work–and I do tend to ask people who sit near me to please, please let me know if I wear something they dislike, or wear something that invades their space. Apart from the day I accidentally broke open a small vial of Alien Absolute in my pocket. Blimey, I was radiating that stuff at about a half-mile diameter. What s great story! :) I also like and wear Mitzah, though not on the train. And I had my own sillage monster story, so I know how you felt. Nice post! That Chic Shaik No. 30 is really hideous, errrr, elaborate. 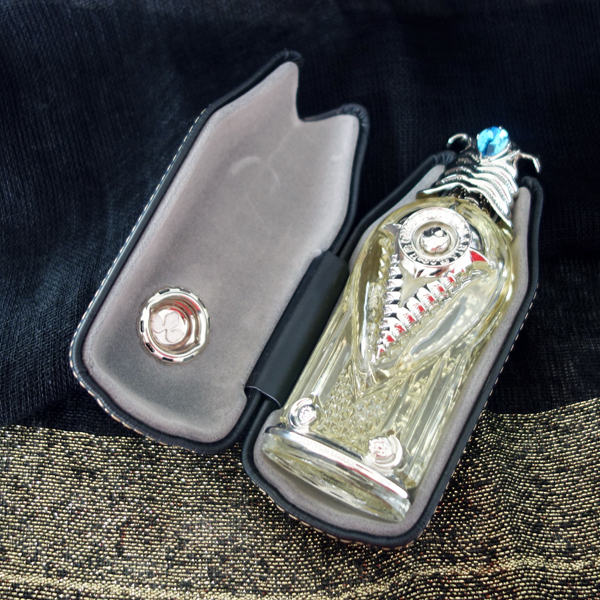 Have you seen the Arabian Oud packaging? They are distinctive – kalemat looks like a hardbound book while Ghroob ((the Orange Blossom oil that I had to give away because I couldn’t stand the smell) came in what I recall as.a carved iconographic mini castle. Anyway, I actually have never asked any of my co-workers about my perfumes. With my family being so sensitive, I’ve learned which lerfumes are safe and in what quantities. It’s not a science by any means but I figured that if someone thinks it is too strong, they will tell me as I am known as a very approachable person. I’ve never seen Arabian Oud packaging but now I would be curious to hear what somebody familiar with that aesthetic and good taste thinks of this type of packaging. Oh I so remember those days of being overwhelmed by R.’s over abundance of her perfume. Her over application was a good lesson to me to try and use mine sparingly – I know I have had days where I’ve probably been a little heavy handed with my application. Co-workers have either been too nice to say anything (or perhaps too shy/too afraid to offend me). I try to use more mellow perfumes to wear to work so as not to offend anyone. There’s a few I’ve worn and myself have deemed the NSFW – mostly the Gucci perfumes I own, which I think work better for evening wear and Jo Malone’s Pomegranate Noir – I keep wanting to like this one but have found that it really doesn’t work for me and definitely not a wear to work perfume. Juli, most (or I would even say “all”) of perfumes that you wear are perfectly safe for work, even applied with a heavier hand than you normally do :). I like Pomegranate Noir but I can wear it only in cold weather (and yes, you’re right, probably not to the office). Gicci’s perfumes that I liked (the original Gucci or Guilt) are definitely more of an evening wear.